Restoration … or is it? Biddenhamites jealously guard their heritage. So we were very excited when we heard, within hours of posting ‘Destruction and desecration’, that work had already been undertaken to restore the Coffin Path. We rushed down to see. Hmmm. We couldn’t really spot the difference. We do hope that there is more to be done yet to restore the paths, because can what has been done so far conceivably be acceptable as complying with the obligations of the Rights of Way Act 1990? You may spot a hazy, vague impression of the paths in some distance shots but as you progress through the field, still trying to avoid spraining an ankle or two, of paths there appears to be nothing. Apparently, barley has been sown in the field, and the good news is if the barley grows over where the paths should be we are entitled to cut it back. We’d better warn the DIY stores there could be a run on scythes later in the year? Let’s hope the Borough Council will tell us there is still more restoration work to be done to bring the Coffin Path and footpath 10 back into obvious being and at appropriate widths. We don’t want another ‘dovecote moment’. This whole saga does bring out the importance of communication. Had villagers known in advance that work was due to be done affecting a right of way, particularly in such a sensitive area and on a path so significant to the village’s heritage, there could perhaps have been proper discussion and agreed action before the event. We have heard there was some discussion between the Borough Council and the Estate last December. If that is the case was any effort made to communicate with Biddenham? So in the meantime keep on trampling and look out those recipes that make good use of barley. Villagers were up in arms this week about the landowner’s “scorched earth” attack on the field to the west of the village pond which wiped out a substantial stretch of the ancient Coffin Path. Parish and local councillors were inundated with calls for action from concerned villagers outraged at the destruction and desecration of the village’s heritage. In the meantime, at the risk of sprained ankles, villagers continued to walk the line the path had for centuries followed. Whilst there is a statutory right for the occupier of land to plough or otherwise disturb a right of way under the Rights of Way Act 1990, the occupier must thereafter make good the surface to not less than its minimum width and indicate the line of the path. Villagers were heartened to hear on Friday that following representations to the Borough Council the landowner had been instructed to fulfil those obligations for the Coffin Path (footpath 13). Similar action needs also to be taken to restore the section of footpath 10 which has been destroyed. And, of course, villagers must remain vigilant in the event the landowner may prevaricate or may mount another attack on these paths or other paths in the future. The landowner has been asked to contact the Borough Council if they intended to cultivate any more Public Rights of Way in the area in order that they can be advised of locations and widths. Watch out too for the Conservation Area report due to be issued for consultation sometime this year, which will be an opportunity once more to stress the importance of the preservation of the Coffin Path as part of the village’s heritage, and hopefully that can then be enshrined in conservation requirements to be observed in the future. The recent clearance of trees and hedges along the north of Bromham Road, between Biddenham Turn and Beverley Grove, has prompted questions about what is happening on the land north of Bromham Road. This work is to facilitate in due course the creation of a new road junction into the eventual development from Bromham Road (going north into the development). The new junction will be to the east of the Biddenham Turn junction (which goes south into Biddenham). There will be associated changes to the footpath layout, and new planting along the revised boundary. Changes have also been proposed to the design guidelines for the development of the land north of Bromham Road, following discussions with council departments concerned and to bring the guidelines up to date with current policy both at national and local level. There have been changes in location for the community centre and for the public playing pitches, which are now proposed to be located at the west (Biddenham) end of the site, and for the primary school for which a planning application has now been submitted (as reported in the 25 January 2015 edition of Bedfordshire on Sunday, page 28). There may be further revisions to the position and impact/style of the community centre buildings given their rural setting near to what would be more traditional style housing and a listed building. There is a consultation period for the revision of the design guidelines which started on 6 January and runs to 8 February 2015. The relevant documents are available on the Bedford Borough Council website. 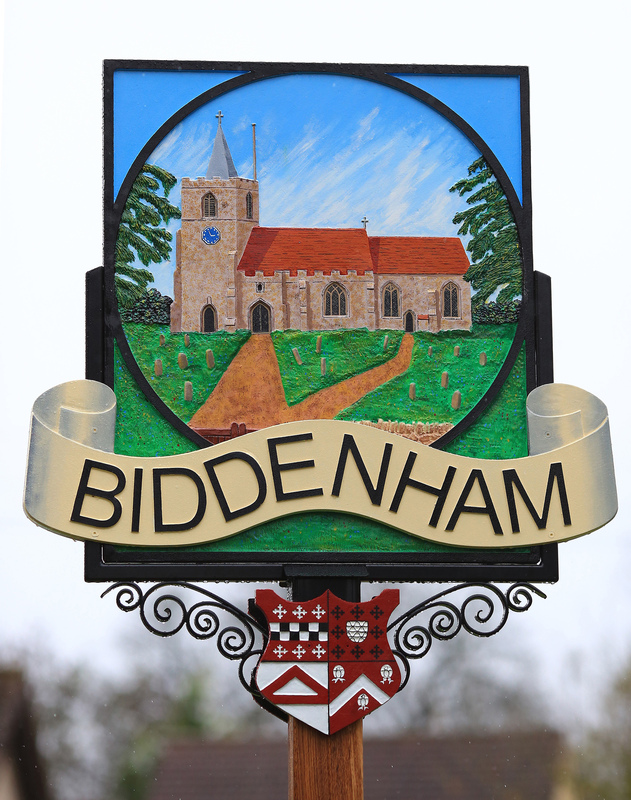 A new page Biddenham future has been added to the blog’s main menu. 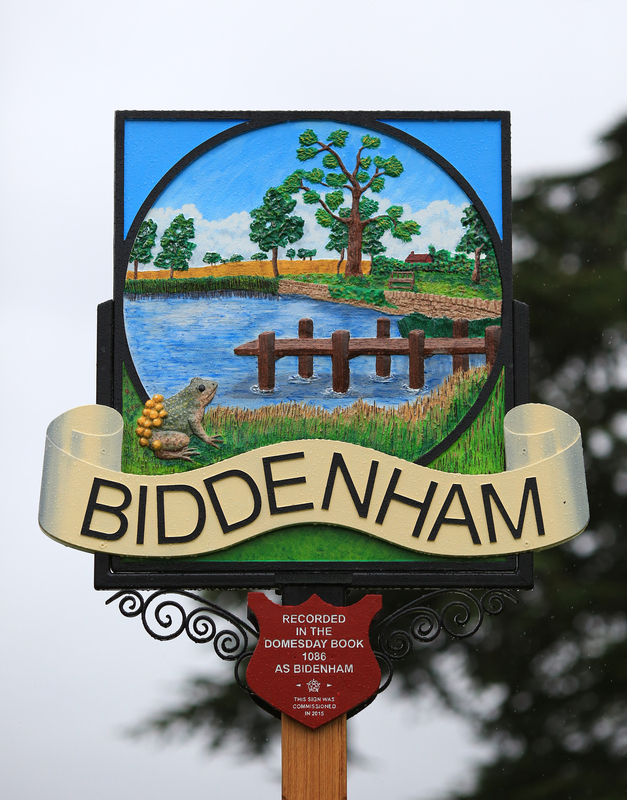 the submissions for development in Biddenham put forward for inclusion in the local plan for the Borough of Bedford in the period up to 2032. Ten submissions for new housing development on land in the parish of Biddenham have been made for inclusion in Bedford Borough Council’s local plan for the period up to 2032.